It took a while to get here, but we are happy to be enjoying the sunshine and reflecting on an eventful spring semester at the NIU College of Health and Human Sciences. The new Child Development and Family Center means expanded day care options as well as increased observation opportunities for our students. We have some exciting new changes underway. This spring we finalized a merger of our Child Development Lab and Campus Child Care. 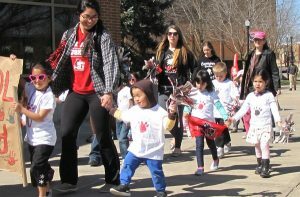 The merger means more child care options for the NIU community, as well as increased opportunities for our Human Development and Family Sciences students to gain child care experience. We are creating a new school: The School of Interdisciplinary Health Professions which will house the B.S. in Health Studies; B.S. in Rehabilitation and Disability Services; and the M.S. in Rehabilitation Counseling – programs previously in the School of Allied Health and Communicative Disorders. The new school will improve student success and preparation for health-related occupations with enhanced knowledge and skills development to meet health and human/social services labor demand. The recently approved Illinois FY19 budget provides NIU with a 2 percent increase from our FY18 allocation, allowing us to support our excellent programs. However, we still face challenges. I continue to work with our College Senate to develop and maintain a budget that allows us to sustain programmatic accreditations and continue our professional and pre-professional programs with no impact on our students. Our digital ad campaign is showing early results in increased inquiries into our programs. We are working with our university partners to help us meet challenges. 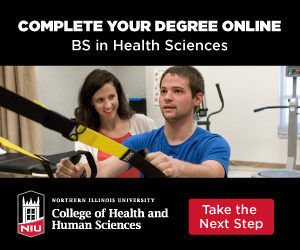 Working with the NIU Division of Enrollment Management, Marketing and Communications (EMMC), we recently launched a successful online advertising campaign to promote our Doctor of Nursing Practice (DNP), Master of Public Health (MPH), and B.S. in Health Studies degree completion programs. This campaign has already borne fruit as we’ve seen a significant increase in inquiries into these programs and website traffic. Additionally, we are working closely with the NIU Foundation to help us share our mission with alumni and donors. To that end, we’ve added a new member to the CHHS team, Frank Goshko, as Associate Director of Advancement. Frank is the first dedicated advancement professional for the College. This spring has brought some personnel news as well. Since its inception in 2016, the School of Health Studies has had an interim chair. 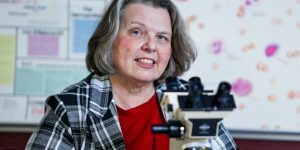 I’m happy to announce that Jeanne Isabel, formerly the Medical Laboratory Sciences program director, will take the role as chair of the school. And, regretfully, we are saying goodbye to Associate Dean for Research and Resources James Ciesla. He will be heading to Bowling Green State University where he will be their new Dean of the College of Health and Human Services. Jim has been an essential member of our CHHS family and we wish him and his family all the best. I’m looking forward to a restful and productive summer and an exciting 2018-19 academic year. Please stay in touch with us. We’d love to know what accomplishments you’re celebrating. Very pleased to read these new programs and hear what is happening. As a proud alum from 1973 (BS)/1978 (MS) it is wonderful to see the changes. I am grateful for my excellent education and even in retirement I am a Parish Nurse who serves on multiple boards and committees in our county to improve rural health initiatives. Looking forward to leading a rural health practicum for the advanced track BS program from UW Madison this next January. Congratulations on all your endeavors.